Hotel’s ‘Rasa Malaysia’ promotion in conjunction with VMY campaign. MALAYSIAN street food is internationally acclaimed but sometimes sitting out in the open air can pose a problem for some. Renaissance Kuala Lumpur, however, is bringing these world famous dishes to its TEMPTations restaurant for a cosy dining experience. Themed “Rasa Malaysia”, this unique promotion, which ends March 31 complements the Visit Malaysia Year 2014 campaign. The Noodle Soup station includes three different types of soups: Tom Yam, Pan Mee and Assam Laksa. Capitalising on Malaysia’s spices, sous chefs Shanfrezan Dinieliqbar Mahayuddin and Shamsul Anuar Ishak have prepared good old Malay kampung dishes as well as Chinese and Indian favourites. “We wanted guests to be able to enjoy Malaysian hawker food in a comfortable and cool setting. They would not have to go in search of famous hawker food since we have it all here under one roof,” said chef Shanfrezan. They have also mimicked the stall concept and included ais kacang and rojakstations. Even the starters are hard to ignore with the various sambal to accompany the wideulam selection. “We have sambal belacan, tempoyak, budu, sambal terasi, Thai dressing, chilli with anchovies, chilli with garlic, lime pickle and coriander chutney as well,” he said. The sambal terasi, according to chef Shamsul, is an Indonesian dish and is similar to the local sambal belacan but is chunkier. There will also be a unique salad called the Samosa Salad prepared by their chef from India. The samosa is rolled and stuffed with tomatoes and Indian spices before they are grilled. 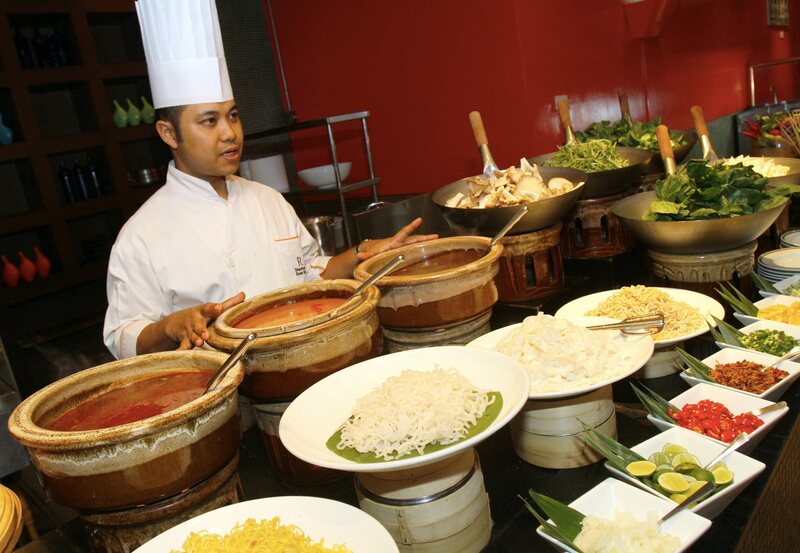 The main course is divided into different sections, including Malay, Chinese and Indian cuisine, to help guests identify the food and its origins. Mouth-watering dishes such as the beef singgang, kambing berlada and sambal udang dominate the Malay section. The kambing berlada is soft and succulent with just the right amount of spice to eat with the steaming white rice. 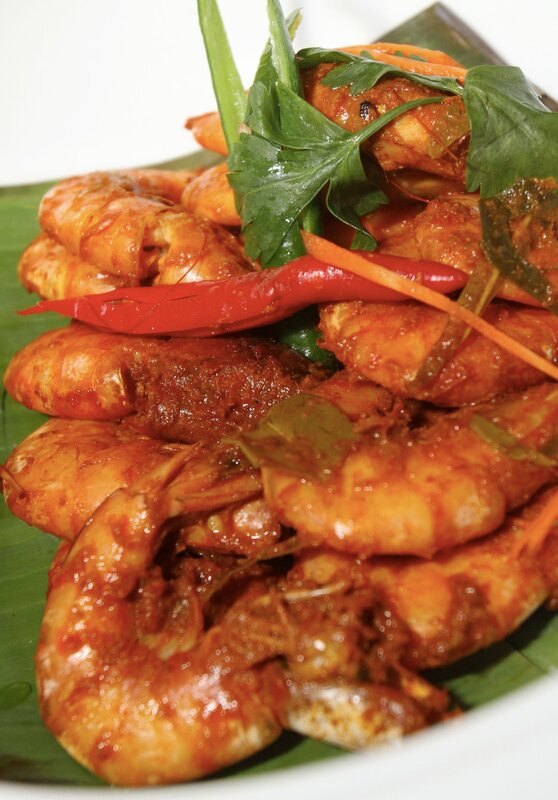 The aromatic Sambal Udang is perfect for prawn lovers. Prawn lovers should definitely try the aromatic sambal udang. The chilli paste is cooked really well to complement the sweetness of the prawns. Chef Shamsul, however, swears by their various rendang dishes. 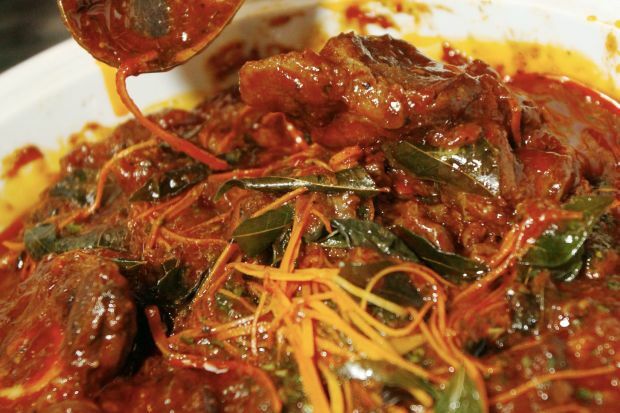 Instead of serving up the good old beef or chicken rendang, they have included kampung-style dishes such as rendang kupang (mussels), oxtail rendang and lamb rendang. The rendang kupang is prepared just like the rendang tok, taking three hours to cook. Instead of using lemongrass, they use coconut milk — caramelising it to get a rich and thick gravy. In the Indian corner is the all-time must-have fish head curry with the various naanbreads and tikka. The flavours in the rich curry are a little stronger, thanks to the spices flown in from India. The Chinese are famous for their steamed delicacies, and TEMPTations’ chefs have replicated their dishes to perfection. Try their steamed fish with soy sauce served with condiments including ginger. The sweetness of the fish is well balanced with the salty soy sauce and the tangy preserved ginger. Dim sum lovers can try their steamed variety as well as the braised vegetables with mushroom. Diners can also select their own noodle soups from the live cooking station with three different soups, the tom yam soup, the Penang assam laksa and the pan mee noodle soup. Also available are sawi and other green leaves as well as mushrooms that can be stir-fried. The tom yam soup is typically Thai with a sour kick at the end of every sip. Chef Shanfrezan said they also served the Malaysian version of the tom yam soup with bread. He said Malaysians love to add cauliflower and galangal where else the Thai keep it simple with tomatoes, mushroom and fresh ingredients instead of the tom yam paste. The tantalizing Durian Crepe Cake draws the crowd instantly thanks to its sweet, rich smell. 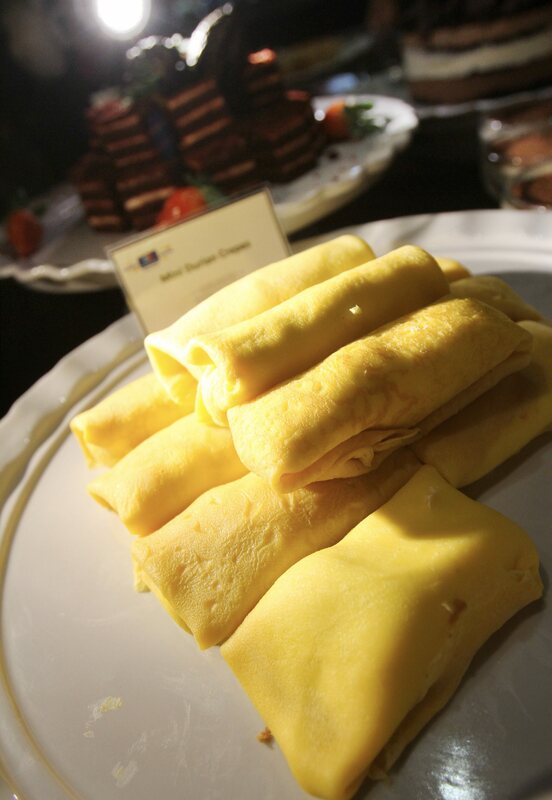 For dessert, try the durian crepe or the sweet porridges that are served with international desserts. The TEMPTations Rasa Malaysia Dinner Buffet is priced at RM109++ per person and half-price for children aged between six and twelve years. The buffet is open from 6.30pm to 10.30pm every evening until March 31.